Earlier this week, we had the best kind of snowfall, one that drifted down before dawn, frosting the lawns and trees but leaving the streets clear. It was magical for a few hours. 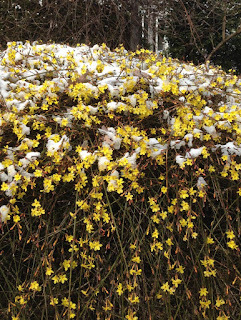 The snow was already melting when I happened upon a bank of forsythia. Encouraged by a mild day here and there, it has unfurled its blossoms. 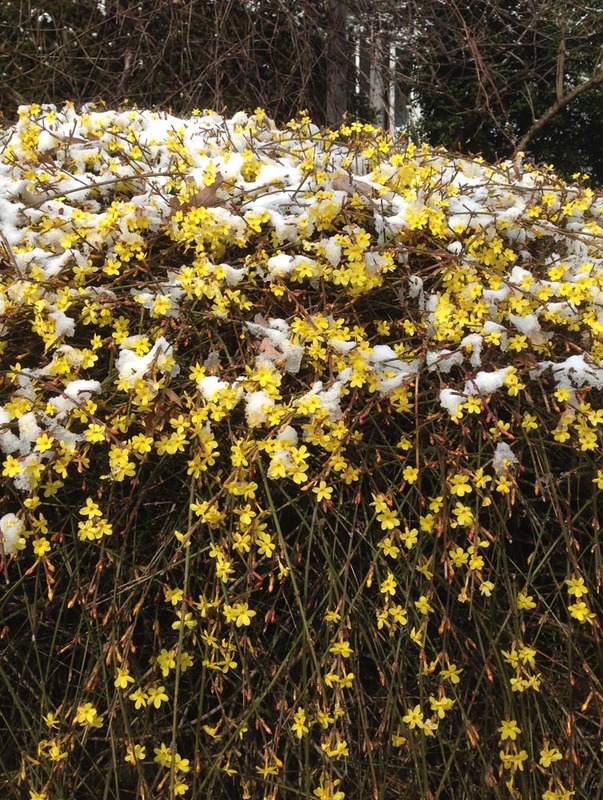 I admired the way the snow set off the bright yellow clusters. More cold, gray days are ahead, but this convergence of winter and spring is a reminder that spring is inevitable.